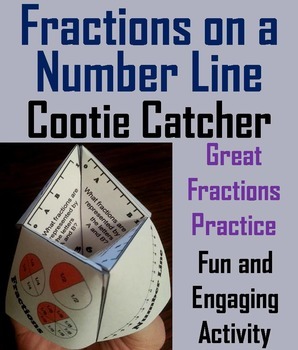 Fractions on a Number Line: This fractions on a number line cootie catcher is a great way for students to have fun while they practice their skills with identifying fractions on a number line. How to Play and Assembly Instructions are included. 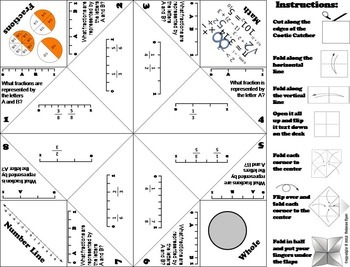 This cootie catcher has students determining the fraction of a particular position on a number line. 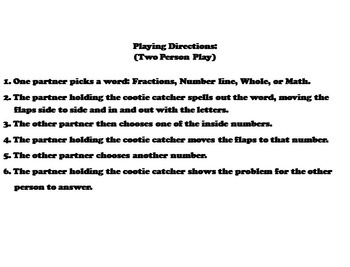 Number lines for fractions between 1/3 to 1/8 are included. Answers are also included for each question.